IRÁN. YVERT 2091 SERIE COMPLETA NUEVA SIN CHARNELA. GUERRA IRÁN-IRAK. IRÁN. YVERT 1989A/E SERIE COMPLETA SIN GOMA. GUERRA IRÁN-IRAK. IRÁN. YVERT 2058 SERIE COMPLETA SIN GOMA. 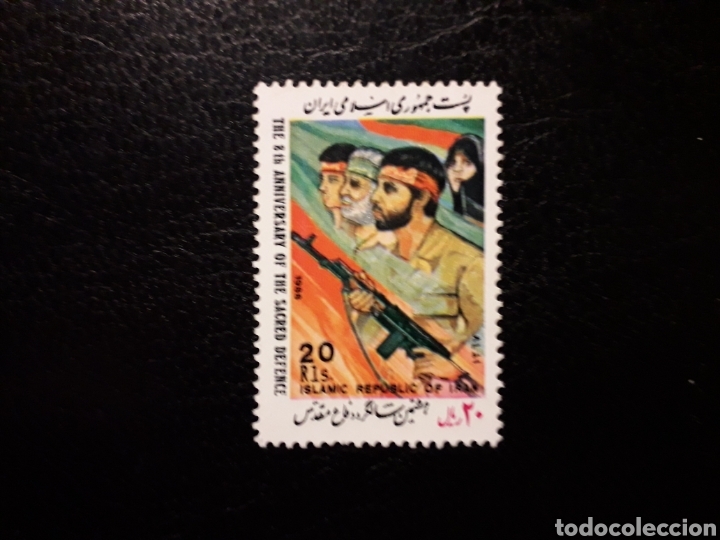 GUERRA IRÁN-IRAK. BOMBARDEO DE HALABJA. IRÁN. YVERT 2058 SERIE COMPLETA NUEVA SIN CHARNELA. GUERRA IRÁN-IRAK. BOMBARDEO DE HALABJA. IRÁN. YVERT 2091 SERIE COMPLETA SIN GOMA. GUERRA IRÁN-IRAK. Hora oficial TC: 02:08:02 TR: 95 ms.